Lindsey Pulliam dribbles the ball. The sophomore guard leads the team with 16.4 points per game. For the fourth time this season, Northwestern is on a two-game losing streak. However, the last two times they faced the possibility of a three-game losing streak, the Wildcats won their next game. NU (14-10, 7-6 Big Ten) will look for the same result on Thursday night against Penn State (10-13, 3-9). Like the Cats, the Nittany Lions also enter the game in a slump, having lost their last four contests. Looking ahead, Northwestern is in a tight race to finish as one of the top four teams in the Big Ten, which would secure the Wildcats a bye in the first two rounds of the Big Ten Tournament. As of Wednesday, NU is in a three-way tie with Michigan and Purdue for fifth in the conference and sit a half-game back of Michigan State for the fourth-best record in the conference. In order to win this crucial game, the Cats will have get back to playing the stellar defense that has made them one of the best teams in the Big Ten. NU is the best scoring defense in the conference, giving up just 59.8 points per game. However, in the last two games, the Cats have given up an average of 72.5 points per game. While Penn State is in the middle of the Big Ten in scoring, the Nittany Lions have one of the top scorers in the conference:Teniya Page. Page, a local product from Chicago, is second in the Big Ten with 19.7 points per game. The senior guard has scored in double figures every game this season. 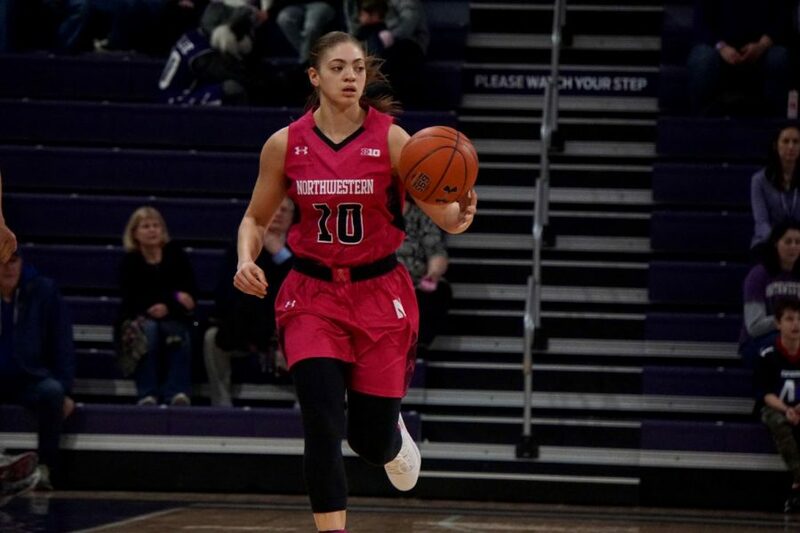 On the other side of the ball, NU will counter Page with sophomore guard Lindsey Pulliam, who is ranked fourth in the Big Ten in scoring with 17.8 points per game. Since scoring 9 points in the team’s season opener, Pulliam has scored double figures in every other game the Cats have played. While both teams have other scoring options, Page and Pulliam will be the main offensive priorities for their respective teams. When these two teams faced off last year, NU fell to Penn State 67-59. The star for the Cats during that game was senior center Pallas Kuniayi-Akpanah, who scored 21 points and added 14 rebounds. Pulliam struggled to score with only 11 points while Page was stellar offensively as she scored 22 points on just 11 shots. If NU can contain Page’s scoring, the Nittany Lions might struggle to find other scoring options on offense. After Page, Penn State’s second leading scorer is Siyeh Frazier, who is averaging 10 points per game. Despite the fact that the Cats have five games remaining this season, this game could prove crucial as NU tries to make a push for one of the top seeds in the Big Ten Tournament.